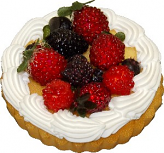 Fake fruit tarts 2 inch, 3 inch and 8 inch sizes. Great display artificial item colorful light weight and durable. 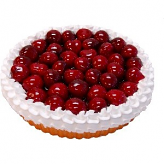 Hand made Fruit Tart for any room or prop. Can be used for promotional educational and for the home display.